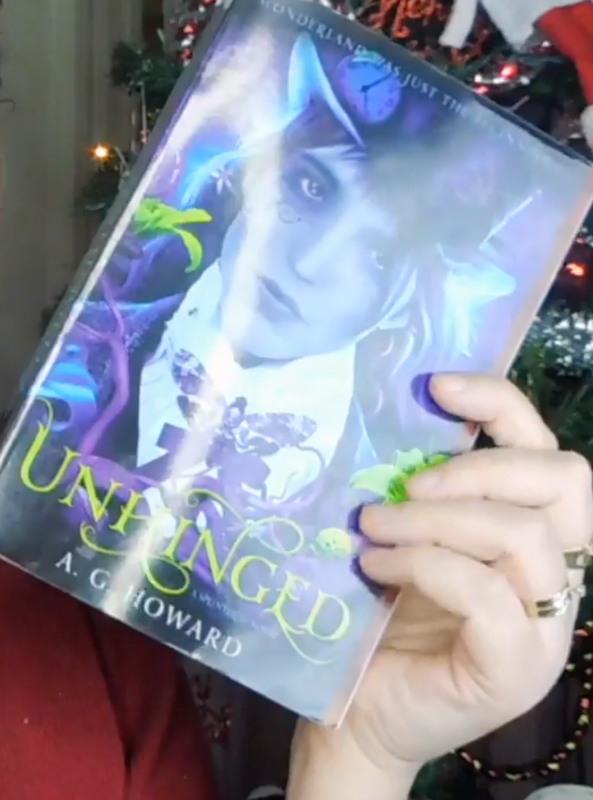 Unhinged is about Alyssa Gardner return to the Madness, that is her Wonderland. It is the second book in AG Howard fantastic Alice in wonder retelling. Alyssa, in case you don't know, is supposed to be the great great great granddaughter of Alice Liddell or Alice from Wonderland. But as the series continues we find out what Alyssa True family bloodline really is. This really is a great modern day retelling of Alice in Wonderland. I hope you will pick it up after this review along with the rest of her books. Unhinged is where Alyssa is confronted by her family legacy. While dealing with this confrontation, she has a hard time maintaining friend and family ties. She learned not to trust everything she sees or hears. She learned how to use her family Madness to fight for what she believes is best. She learned that her bloodline is far more magical than most in wonderland. She gains more information on the inhabits of the wonderland world. She tries hard to choose between the wonderland world and the real world. All of these lessons will help Alyssa later on in her life. But right now she has to find some way to keep the legacy a secret while being her true self with her loved ones, even if it is a means to an end. In the end, I rated this book a five out of five stars, although this is not my favorite story in the series. The reason I rated it five out of five is that of AG Howard writing, it is so amazing. She is very descriptive with these characters in the way that Tim Burton is with his movies. In fact, if you love Tim Burton or anything in that Goth style you will surely love this series. I can't recommend it highly enough and I hope you get a chance to pick it up at your local bookstore or with the Amazon link below.